An Electromyography (EMG) records and analyzes the electrical activity in your muscles. It is most frequently used to gain vital information about the functioning of nerves in the arms and legs. For example, a fracture of the upper arm bone may tear or pinch the radial nerve, causing discomfort beyond the painful fracture. An EMG can be used to identify this potential damage to the radial nerve. During the procedure, small, thin needles are placed in the muscle to record the electrical activity, which is then monitored to determine nerve health. Our specialists are highly trained in the administration and interpretation of EMG procedures. Electrical signals in healthy nerves can travel at speeds of up to 120 miles per hour. A damaged nerve will signal a much slower and weaker speed. Nerve conduction velocity studies (NCV) are often done to determine the speed of a nerve pathway and to assess if it is functioning normally. It may be recommended if you have symptoms of carpal tunnel syndrome or ulnar nerve entrapment. Electrodes or wires are taped to the skin in various places along the nerve pathway. Then the doctor stimulates the nerve with an electric current. As the current travels down the nerve pathway, the electrodes placed along the way capture the signal and measure its speed, and at the same time the doctor can determine the specific site of the injury. 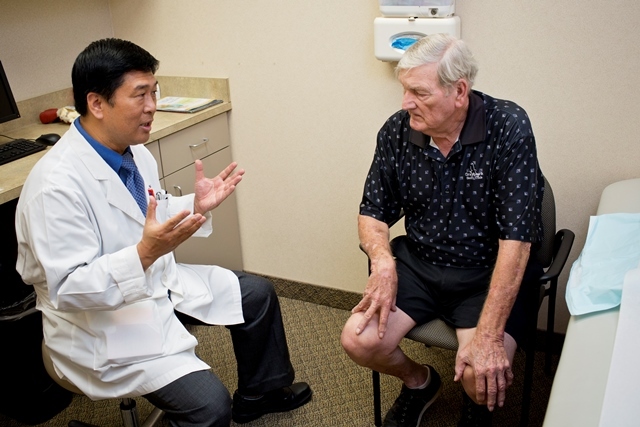 The specialists at Guilford Orthopaedic and Sports Medicine Center are highly trained in administering NCV procedures. Read more on Electrodiagnostic Testing by clicking here.